In recent years, the ecology and evolution of infectious diseases has been studied extensively and new approaches to the study of host-pathogen interactions continue to emerge. At the same time, pathogen control in low-income countries has tended to remain largely informed by classical epidemiology, where the objective is to treat as many people as possible, despite recent research suggesting new opportunities for improved disease control in the context of limited economic resources. 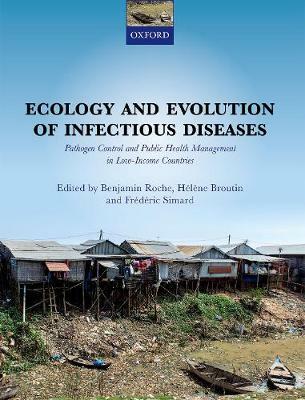 The need to integrate the scientific developments in the ecology and evolution of infectious diseases with public health strategy in low-income countries is now more important than ever.This novel text uniquely incorporates the latest research in ecology and evolutionary biology into the discussion of public health issues in low-income countries. It brings together an international team of experts from both universities and health NGOs to provide an up-to-date, authoritative, and challenging review of the ecology and evolution of infectious diseases, focusing on low-income countries for effective public health applications and outcomes. It discusses a range of public health threats including malaria, TB, HIV, measles, Ebola, tuberculosis, influenza and meningitis among others.